FIRST CHAPTER OF DRIVEN TO RAGE RIGHT HERE! | Carol Sheldon writes books exploring times-past through mystery, love, betrayal and murder. I PROMISED YOU THE FIRST CHAPTER OF DRIVEN TO RAGE ON MY BLOG, AND YOU CAN READ IT NOW! Just look above at the menu under the picture at the top, over at the right side and click on First Chapter of DRIVEN TO RAGE. Please share with anyone you think might be interested. 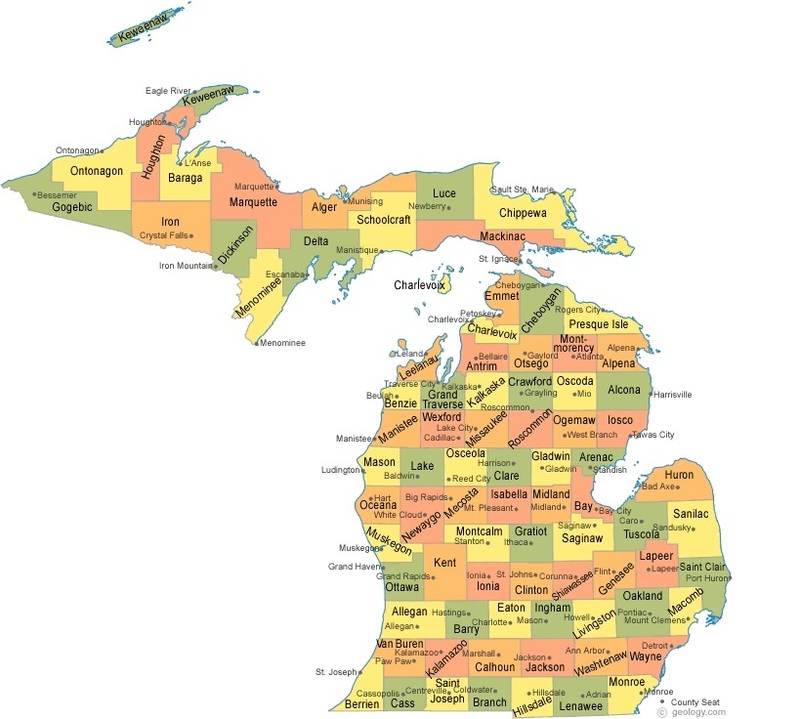 I’m including here a map of Michigan, so if you’re not familiar with the Midwest, the Upper Peninsula is above Wisconsin. The area I’m writing about is called the Keweenaw Peninsula which is at the very northern tip, pointing like a finger out into Lake Superior. My mother was raised there, in a little town called Ripley, next to Houghton. We used to make trips there from the Lower Peninsula to visit my grandmother. The ancient lava flows of the Keweenaw Peninsula were produced during the Mesoproterozoic Era. This volcanic activity produced the only strata on Earth where large-scale economically recoverable 97 percent pure native copper is found. Michigan’s copper was first discovered by ancient Native Americans– ‘float’ or solid copper on the surface. They made many tools and utensils with it. In the mid-1800s, white man discovered it, and though there wasn’t much to be found on the surface, they soon learned to mine it, following the veins imbedded in conglomerate. The Cornish, who had long been mining copper in England, came to the Upper Peninsula. They were the first of many immigrants, and the most skilled of all in the mining of copper. ‘Til next time, read the first chapter of Driven to Rage, and watch the conflict unfold. This entry was posted in Copper, copper mining, Historical Fiction, historical novel, Upper Peninsula of Michigan. Bookmark the permalink.